Do these comments sound familiar? Chances are that you’ve heard someone say them to you IRL or you’ve read them in one of the many, many think pieces that have been quick to eulogize Facebook’s place in the social media hierarchy. Facebook is still king when it comes to user base. It currently hosts 2.2 billion monthly active users, a 13 percent increase from last year that makes this behemoth too large for advertisers to ignore. Now let’s talk about video content, which has also become a colossus in its own right. Online visitors now consume 1.5 hours of video a day, and 72% say that they prefer learning about a product or service via video content. Customers are choosing video when it comes to branded content, and though social media platforms are taking note, it’s still a tactic that hasn’t been overdone by B2B brands (yet). Using Facebook Video Ads to promote your upcoming webinar or webcast is a great way to encourage a mutual trade-off: You receive your customers contact information, and they receive exclusive educational media. Until they register for the webinar or webcast, the ad can preview what’s to come without giving away the good stuff. Moz, an inbound marketing and marketing analytics software subscription company, is known for producing incredibly valuable video content. Their flagship content piece is a video series known as Whiteboard Fridays, where they explain relevant and sometimes complex SEO practices -- and it’s completely free. Above is a Facebook Ad promoting one of Moz’s upcoming Whiteboard Friday videos. 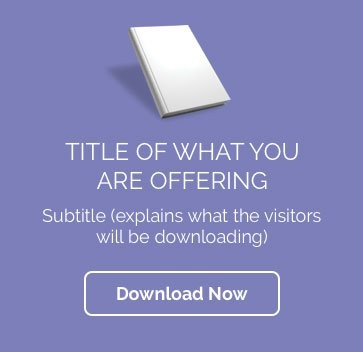 The copy is clear and the static image shows a friendly face to greet online visitors. Since Whiteboard Fridays is a video content series, it could be beneficial for Moz to use video in their Facebook Ads to encourage views and show exactly what viewers can expect from their content. They could work filming promotional content right in with their main recording sessions to streamline the process. Tip: If you don’t have enough resources or budget to create a full video for your ads, test micro-movements on a static image, a looping .gif file or create a cinemagraph with Flixel. “Downloadables” can mean eBooks, templates, or guides. These formats don’t naturally lend themselves to video content, but it’s an exciting challenge for marketers and advertisers to think outside the box. Check out the Pardot Facebook ad above. While the paper planes illicit delight, giving them motion might make them stand out even more in a crowded News Feed. This ad would be a terrific candidate for a stop motion video, where the video starts and stops seamlessly and creates the impression of movement. To create a stop motion video, one of our favorite video apps is Stop Motion Studio, available on both iTunes and Google Play. Video is all about showing action, and if you think strategically and get in the mind of your customer, you can use video ads to help them take the action you want. Let’s look at a few different organizations and see how they’re approaching this in their ads. MailChimp, a marketing automation platform and email marketing service, just debuted a new mobile service that brings efficiency to business owners on the go. The main content and action being shown in the ad above is a customer giving their real-life experience and testimonial. Potential customers often want to hear case studies and speak to other users to get a better idea of what they can expect from partnering with a company. MailChimp does a great job releasing testimonials -- usually kept in text form on the sales page of your website -- from static text, and gives them life in these ads. If your business sells products, like Staples in the ad above, show the action of your products being used in real-life situations. A potential customer could watch this video and relate, thinking of a similar pain point in their lives that needs solving. Boom! A lead is born. If you’re creating a video ad similar to this one, send users to a landing page or product page on your website that leads them to making a purchase. If you want to test this in a remarketing campaign and your business allows for discounts, mention that in the ad copy as well to increase your chances of engagement. For business tools, use video ads to promote free trials if your company offers them. You can see in the Facebook ad above that AdStage clearly promotes their initial 14-day trial right in the copy. An excellent method for acquiring new users into your funnel! To take it one step further and add action. Test out another variation of this ad by turning a static image into a gif or stop-motion graphic. If you run video ads that have sound, adding captions is highly recommended. Did you know that 85% of Facebook videos are watched without sound? It would be wise to avoid isolating such a large part of your customers, and also be inclusive to those with hearing impairments. Adding captions is a quick and simple process with Facebook’s caption feature that is available at the ad level. By selecting the option, Facebook will scan your video, provide a script, which you can review, and if there is anything that needs adjusting, it’s easy to edit. Regardless of your business model, industry, or goals as a B2B product of service provider, it’s clear that your customers are on Facebook and they are looking for video content. Don’t leave your ads standing still -- give them life with Facebook Video ads and you’ll see movement and growth in your lead generation tactics.